Cod Zonic a slow sinking fly! Cod Zonic is made up of only 3 fly tying materials; the action flash and style that these flies give off is amazing. Easy to cast in all weather conditions the Cod Zonic maximum length is 150mm tied on a 5/0 Owner hook. A very versatile fly on the market; the Zonic also can be fished on 3 different fly line class’s; floating, intermediate and sinking. Water depth plays a big part on this fly on how it’s fished. Floating lines best cast from the bank while walking and the other 2 lines most effective off the boat. Using floating line off the bank reduces the fly from fouling up or snagging while striping the fly back as it rides higher in the water. While using Intermediate or sinking line off a boat, you’ll be able to fish deeper water by letting the fly slow sink in to the strike zone. The Cod Zonic has plenty of flash and stream line body when striped though resembling a large baitfish; the water this fly will be in your tacklebox before you know it. Best cast on a #8 or #10 weight rod of your chose! To keep up to date with KAOS, come over and follow me and the crew @ facebook. Surface fly fishing at its best! 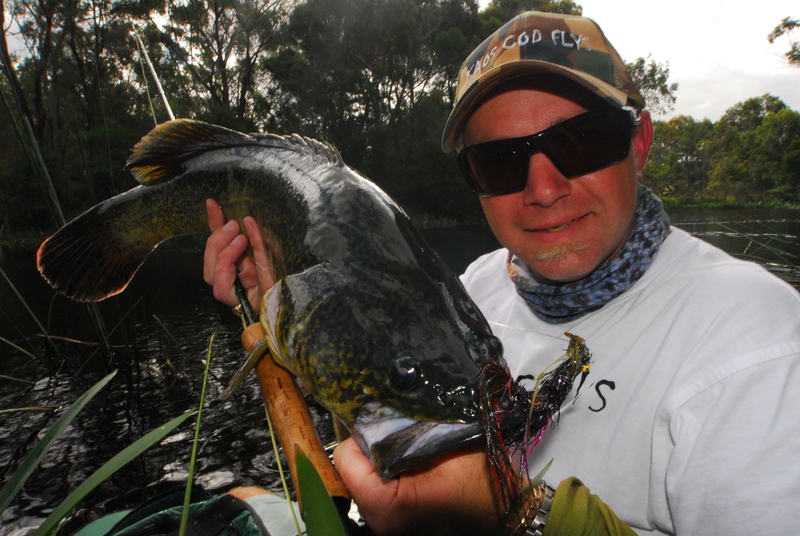 Manipulating our flies’ surface or sinking in to a baitfish pattern, reptiles, frog, moth, mouse or any sort of insect or in fact a small bird that may have landed on the water surface… Natural presentenced and placed flies to provoke a magic surface strike. 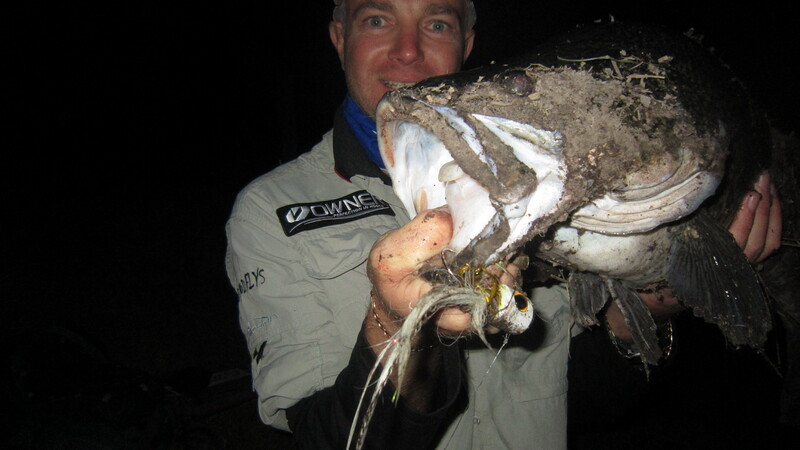 Surface fishing big flies can be a little intimidating but very rewarding at the same time. Stripping the fly slowly as it dart off left and right, you’ll get the effect with a clinch knot and can have a similar effect with a loop knot. Only move the fly short distances then pause and repeated with more twitchers. By striping the line back this way it gives the motion of a mouse on the water that is injured or a frog. Striping the line back with quick strips in a straight line may resemble a frog or any other mammal on the water trying to get back to a safe place, with this retrieve you’ll need to tie a loop knot. These techniques’ work fantastic with a floating line but can have a similar affect using an intermediate line.